My name is Chet the Jet Blanton. I’m 58 years old. 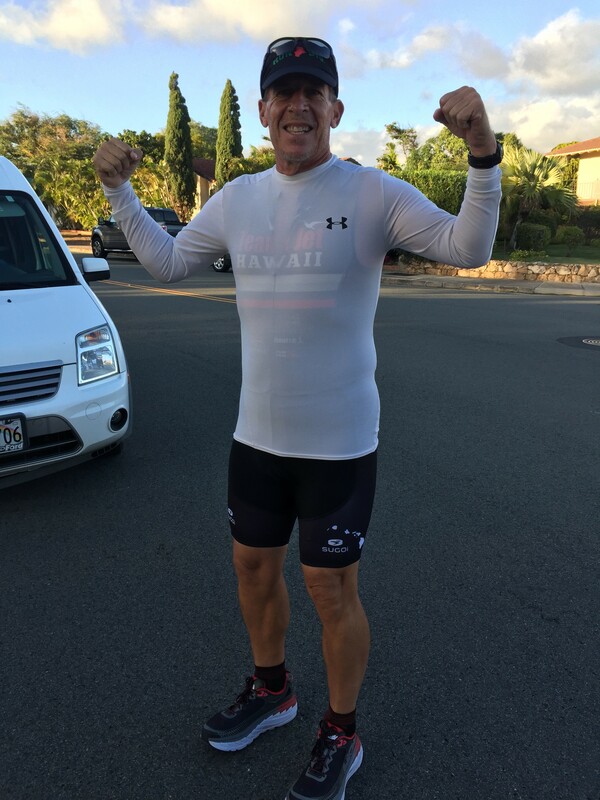 I work for Bike Ed Hawaii, teach tennis at the Oahu club and am the owner of Team Jet Hawaii, a running and triathlon club. 43 years. I started running 1974 as a a sophomore in high school. I love all the races I do. Still the only American and 1 of 12 in the world to finish the double deca ironman; 48 mile swim, 2240 mile bike, and a 524 mile run in 1998 in Monterrey, Mexico over 28 days. What are your 2017 Racing plans and running goals? So far so good. I qualified for Boston and am running faster than ever. I would like thank Michael Garrison for being a great and positive coach.